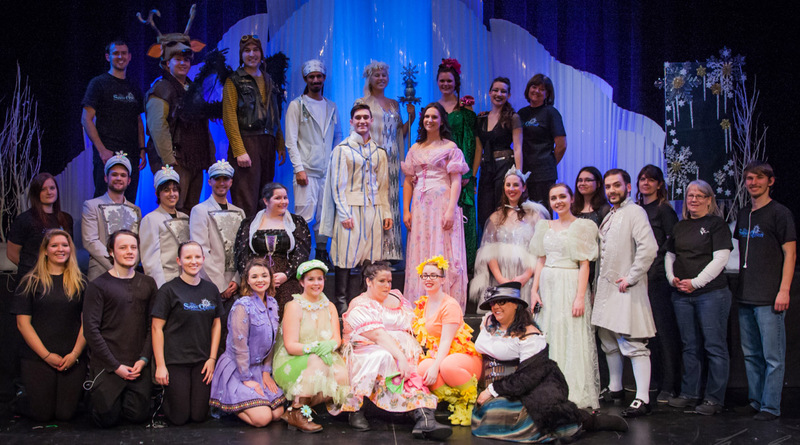 The cast of The Snow Queen, a recent production of Piper Pride Productions. The group presents Smokey Joe’s Cafe in May at the Gas Station Theatre. View the original article on The Winnipeg Free Press website. So, when I discovered Piper Pride Productions was the community theatre group that performed the version of The Snow Queen I recently saw, I needed to know more and share the secret with others. A couple of years ago, Paula Olko retired as guidance councillor and musical director at John Taylor and, instead of sticking her toes in the sand and sipping cocktails down south, she decided to jump right back into long hours of work and create this company — which is more passion then a job, as she volunteers her time and expertise. Paula does everything from sewing the costumes, to designing the sets, finding the venues, selecting the actors and 100 other things that need to done to present an excellent show. Paula discovered there was a need for an amateur theatre company after students graduated high school, so Piper Pride Productions is now a member of the Association of Community Theatres of Manitoba (A.C.T. Manitoba), an organization that has similar groups across the province. Her theatre troupe comes from all walks of life and includes nurses, teachers, servers and more. The youngest member is 18 years old and the oldest is 45. Although most are graduates of John Taylor, Paula says the door is always open to anyone interested. They one thing they all have in common is a passion for musical theatre. To date, they have performed Footloose and The Snow Queen and will present Leiber and Stoller’s Smokey Joe’s Cafe from May 3 to 6 at the Gas Station Theatre Cafe, which I encourage you all to attend. I guarantee you will leave with a smile and humming a tune. Anyone interested in acting or volunteering with Piper Pride Productions can contact Paula at [email protected] or call (204) 791-9847.